Click button to hear pod-cast. In this edition of the SVC Podcast, SVC Contributing Editor Bennett Liles talks with Art Dryce of VideoArt Productions in Clearwater, Fla. regarding the new HD video system upgrade at Al Lang Stadium, the home of the Tampa Bay Rowdies soccer team. He outlines the installation done by High Tech Enterprises and he discusses the new crew arrangement he made to break from the previous one-man band method and introduce a full TV production crew for the game coverage. 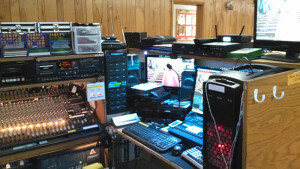 The system is built around the Broadcast Pix Granite 1000 video production switcher. ~ Abraham O’Dare , Winners Chapel, Detroit, MI. 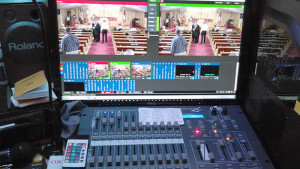 “Thank you for a much-needed piece of hardware and your instruction for our church’s needs in expanding our system and adapting our cameras. Will be in touch for future configurations and adapters as needed. Thanks for being such a great help in steering us in the right direction. You have certainly earned my business. Looking forward to bringing you even more business in the new year.